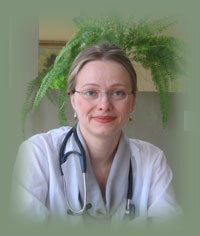 Margaret Balajewicz [pronounced as ‘bawayevich’], B.Sc, ND graduated from the Canadian College of Naturopathic Medicine and she is a registered practitioner through the Board of Directors of Drugless Therapy - Naturopathy. She holds a Bachelor of Science degree form York University where she majored in psychology. Margaret uses different treatment modalities in her practice such as: Asian Medicine/Acupuncture, Botanical (Herbal) Medicine, Clinical Nutrition, Homeopathy and Physical Medicine (A variety of hands-on techniques for the spine, joints and soft tissues). Margaret has worked with Chiropractors and Massage therapists utilizing Physical Medicine techniques. She is also a trained birth assistant (Doula), Bowen therapist and in her daily practice she has a special interest in Acupuncture. As a primary health care provider, Margaret has experience treating a wide spectrum of diseases and in addition she has a special interest in Women’s health issues and prenatal health care.